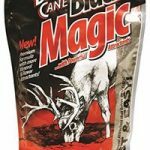 The debate has been extensive and it still rages on regarding which weight of arrow is most effective for hunting. It’ll likely never end although I like to lend my ear to science (specifical physics) to know that a heavy arrow offers better penetration. And better penetration results in a better hunting arrow. In Tac X Tactical reviews, we’ll be looking at both light and heavy arrows although we’ll have a special emphasis on some heavier options. 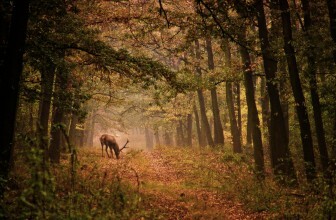 Wood- Since the dawn of hunting, humans have shot a wood shafted arrow and have had much success. But unless you’re a traditional longbow hunter or a modern day caveman, you will not be using a wooden arrow. Wooden arrows are heavier, slower and are delicate which makes them a terrible choice when hunting with a compound or recurve bow. 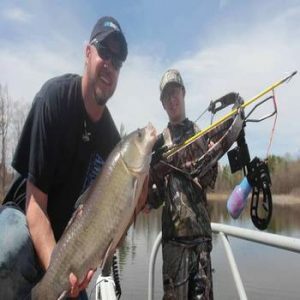 Aluminum- There was a period when aluminum arrow shafts were the preferred choice of bow hunters. 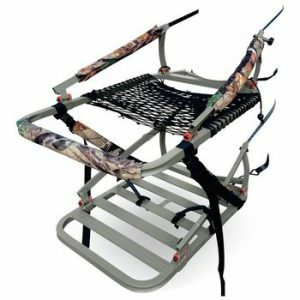 Aluminum is affordable, lightweight and strong which makes it pretty ideal as a hunting tool. 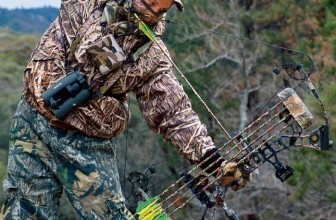 Even to this day, some bowhunters prefer aluminum arrows as they are typically heavier than their carbon counterparts. Carbon-Carbon arrows burst on to the hunting scene in the early 90’s and have increasingly become more popular among bow hunters. 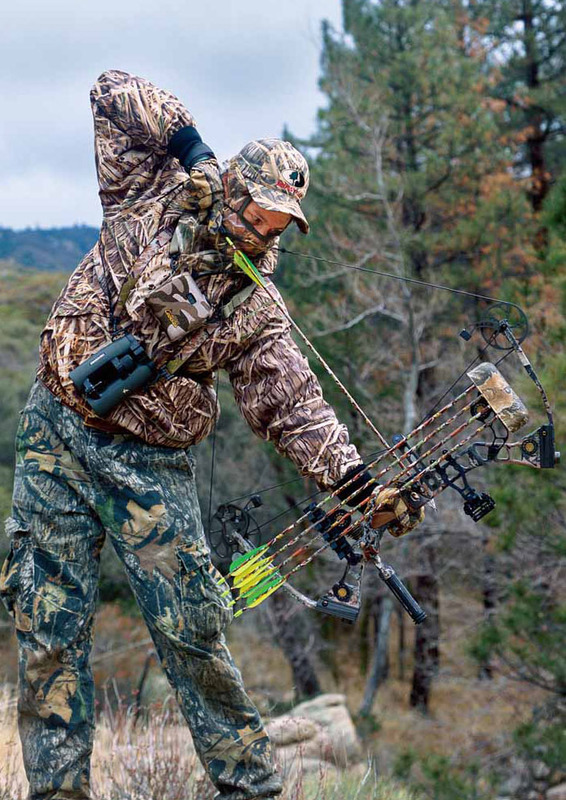 Carbon hunting arrows are lighter than aluminum and hold extremely tight tolerances. This results in higher speed, increased accuracy and in some cases; higher penetration. One tip to determine the right size of the arrow for you is to stand up and spread your arms while making sure they both remain parallel to the floor. Do this without pulling your shoulder blades together. Have some assist you with a measuring tape to figure out the exact distance between both of your middle fingers, and then divide the value by 2.5. This will give you a pretty good idea of your draw length. For example, if your arm-span is 72 inches, divide that by 2.5 with the result equalling 28.8” of draw length. Once you’ve determined your draw length, add an additional 1 or 2 inches. This will create your ideal arrow length. Again, looking at the above example, your ideal arrow length than would be between 29 and 21 inches long. The majority of people have a draw length of roughly 28” which is why many hunting arrow manufacturers produce to that measurement. As mentioned earlier, the biggest difference between target arrow shafts and hunting arrow shafts is the arrow weight. The heavier the arrow shaft, generally the deeper it will penetrate on impact as lighter arrows lose velocity quicker on impact. When target practicing, deep penetration isn’t a big deal you’re only looking to pierce a target made of foam or cardboard. 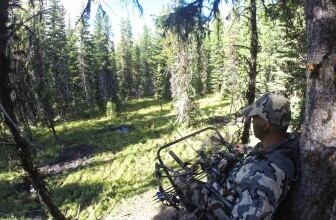 Hunting game on the hand requires some deep penetration to pierce through the fat of an animal and sometimes even bone. The type of arrow point you use will essentially define its function. An arrow can be fitted with a variety of points depending on the purpose in which you intend to use it. Whether you’re hunting big game, or shooting cardboard targets in the backyard, it’s important you have the proper arrowhead or tip. 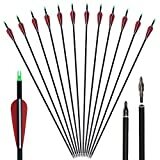 Arrowheads are interchangeable so if you find a pack of arrows you really like, it’s easy to change the tip based on the type of activity you’re participating in. 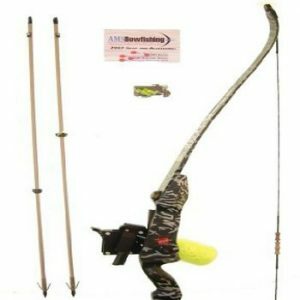 Let’s now take a look at some of the best hunting arrows available online. These arrows are made of aluminum and can be used by archers from 3 years old and older. Built for bows with 15 to 50-pound bow weights, the tips are made of steel and the nocks are made of plastic and are certainly replaceable. The aerospace alloy surface allows these arrow to cruise through the air slamming into targets with maximum precision. As these are Trueflight feathers, they are made using real domestic turkey feathers. They also offer right-wing helical offset. The helical offset allows the arrow to turn in flight, stabilizing the arrow allowing the arrow to fly straighter. A true hunters arrow, the Easton ICS Bow hunter arrows provide the perfect balance of long—lasting durability and speed. Built with carbon strength and durability are for those who are serious about hunting game. This arrow features a direct-fit super nock which is pre-installed on the arrow and CB inserts are included. It’s important to be careful when using carbon arrows as the arrow shafts can break after they enter the body of a large game animal. Ensure to inspect the arrow shaft before each shot to identify any nicks, splits or cracks that might affect the durability of the arrow. Although carbon shafts can break, it does not mean these arrows are not of high quality. 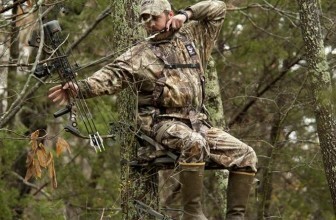 It’s natural for carbon arrows to splinter and when hunting you should always inspect the meat for any carbon splinters. Shipping in packs of 12, these very lightweight and strong arrows are fantastic for any hunter. Ideal for recurve or compound bows that have a draw weight of 40-55 pounds, these carbon fiber arrows really pack a punch upon impact into your prey. 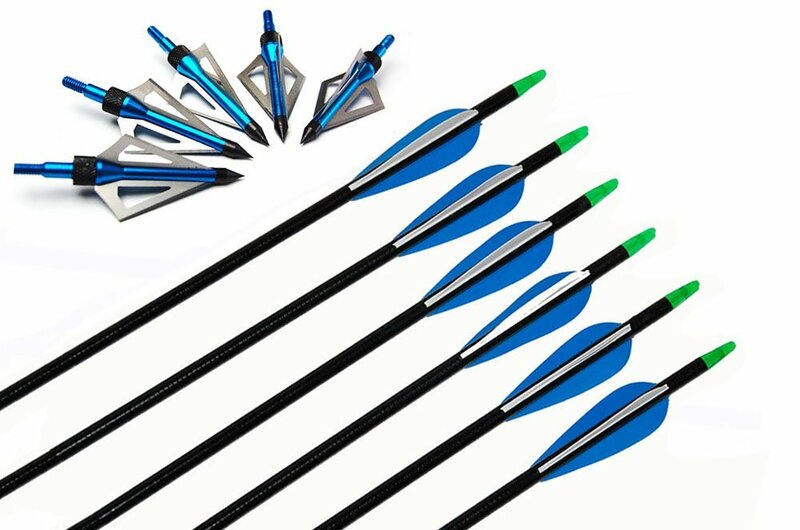 Featuring top quality screw tip on/off arrows you’ll be receiving both hunting and training heads when you order these arrows. Designed using fibreglass, this nicely crafted arrow come with a sharp 100-grain broadhead blue color. 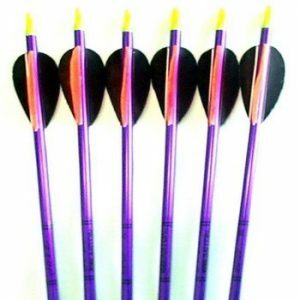 These arrows also ship with training tips for practice which is extremely handy as well. 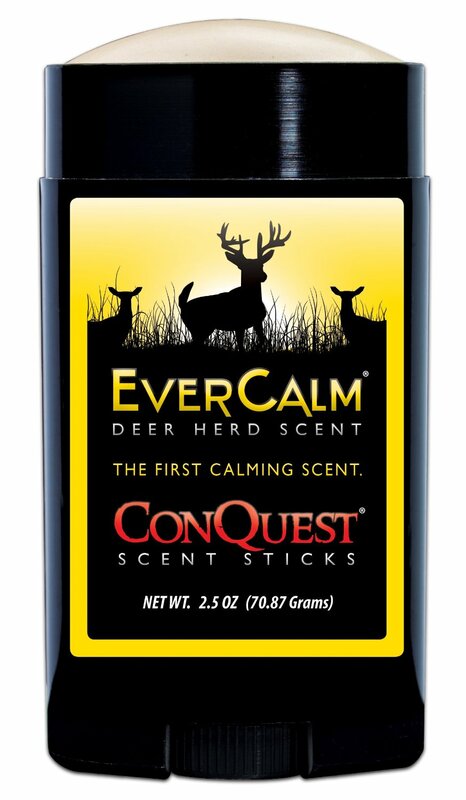 Compatible with both compound and long recurve bows. 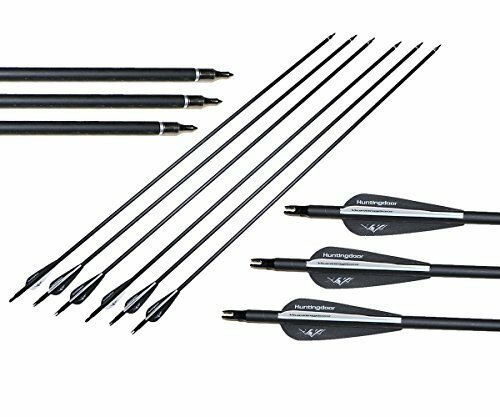 Very popular among people who have purchased this set of arrows, it’s a fan favorite among hunters and target shooters alike. I’ve noticed a few issues with durability over time but overall are pretty well-produced arrows. 100 grain 3 fixed blade sharp replacement screw-in arrowheads,blue color. It has good performance, low hand shock with good speed and unbeatable price. No matter which option you choose from the above, you’ll be equipped with an arrow that is capable of taking down the game. In some of the above cases, the arrows are designed for both hunting and target practice which can be extremely attractive. It’s important whenever you’re hunting to ensure you have the takedown power to humanely kill an animal; I cannot stress this enough. My preference is always to go with a heavier arrow and ensure you have the proper recurve bow to support the weight of the arrow. It’s also important to ensure you’re following state law as to what game you’re hunting. All states have laws and licenses and it’s important you abide by these laws as they were created for a reason. Bag Targets: This is probably the most basic archery target next to the classic piece of paper with rings. 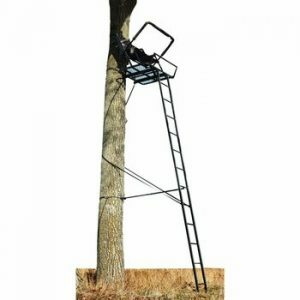 Nearly every archer and bow hunter will own or practice with one of these targets at some point. 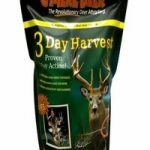 Bag targets often contain synthetic fiber filling that will easily stop your arrow and allow for easy removal. These targets can be used repeatedly as they hold together very well. It is important to only use field points for this type of target. Broadheads will more than likely embed themselves into the target and shred the outer lining that keeps the fill contained. It is also important to keep your target out of the elements. The bag can absorb rainwater and this will cause the target to deteriorate at an expedited pace. That being said, if you ensure that you are purchasing a more weather-resistant bag target, it should last longer than earlier versions. More often than not, bag targets will be used in indoor ranges. Here you can leave them hung in place. This way they will not have to be carried around every time you would like to practice. 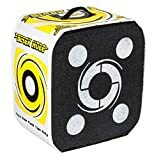 Foam Block Targets: This type is a step up from your average bag target. These are portable and lightweight. They are economical and arrows can easily be removed from the target when lighter bows are used. Foam Block Targets pinch the arrow between layers of foam. They use friction to stop the arrow rather than force. Even though you could use broadheads for these targets, field points will increase the life of your block target. There is one limitation to these targets and that comes with a bow that has a heavier draw weight. This can bury an arrow quite deep into the foam making it hard to remove the arrow. It is also important to focus on shooting straight. When you shoot at an angle you risk shooting through the foam layers rather than between them. Some archers choose to turn the foam block so that the foam is arranged in vertical layers rather than horizontal. These blocks are best used for outdoor practice. 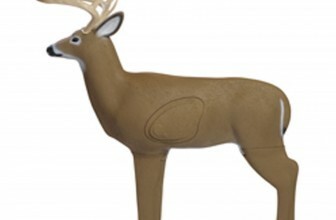 3D Targets: This is one of the best targets to prepare yourself for bow hunting. 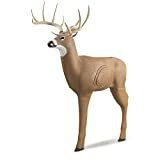 This is a 3D foam target that comes in a lot of animal species (both living and extinct). This provides a fun practice experience. Added to that, many 3D targets have a variety of overlays. Some will show vital organs in order to teach you how to take down your target with one shot. Some targets have point values that can be used in competitive shooting. The limitation to these targets is that the foam cores will wear out with repetitive practice. Manufacturers will often offer replacement mid-sections in order to prolong the life of the target. As with the other targets, it is best to use field points. Broadheads can get lost inside the foam core. 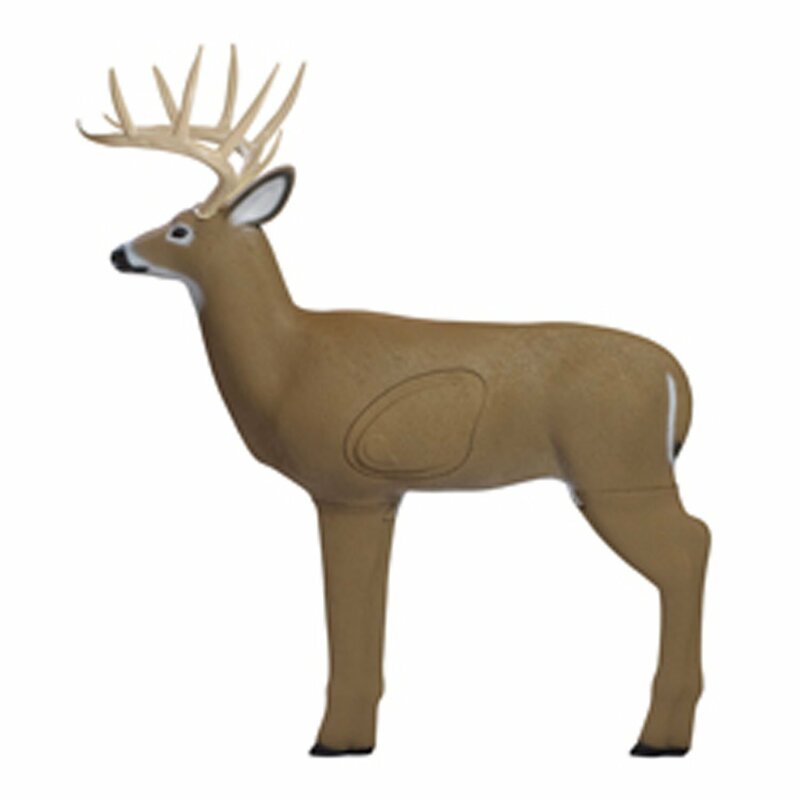 3D targets are best used outdoors, set up in life-like hunting situations. 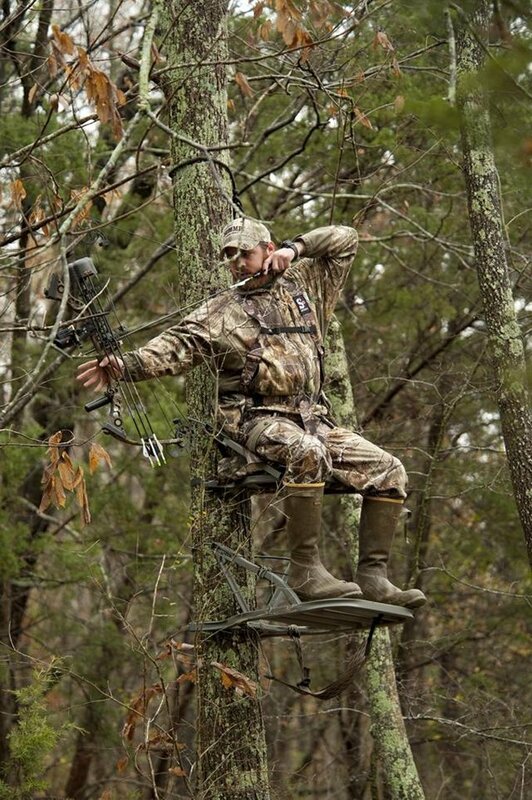 It is advisable to set up your target in a realistic setting where you can practice on land or from a tree stand. Practicing with this type of target will prepare you for the accuracy necessary to quickly and humanely take down your prey. This target boasts an impressive 4.8-star rating on Amazon. 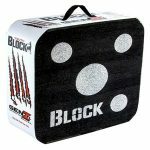 The block has 18 sides to shoot at and has a manufacturer’s guarantee that this target will take multiple arrows and last over one year. The cube is designed with self-healing foam making wear and tear an issue of the past. The only criticism that customers can muster is that it is difficult for some to pull their arrows out and that some of the units came with aesthetic defects in the printing. Customers are incredibly impressed with the self-healing foam, lightweight and durability of the target. This is certainly a high-quality target that will last through multiple practices. 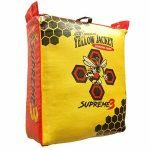 This is a high-quality target bag with a very affordable price tag. 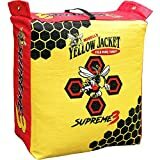 This bag is affordable and has a 4.5-star rating on Amazon. Its multi-layered design and internal frame maintain its shape and integrity. 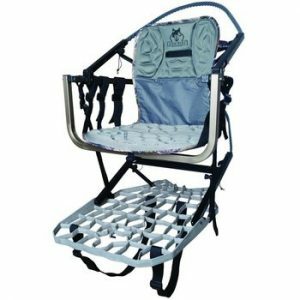 The bag measures 23”x25”x12” and is easily transported with a tote carry handle. The majority of customers are very happy with the longevity of this bag, some mentioned that they have used it for over 2 years with it still stopping every arrow. Customers used a multitude of bow types and arrows, all being stopped with great success. 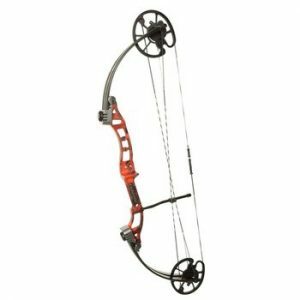 The Black Hole Archery Target has a 4.1-star rating on Amazon and is affordable. This target is quite por table, measuring 18”x16”x11”. 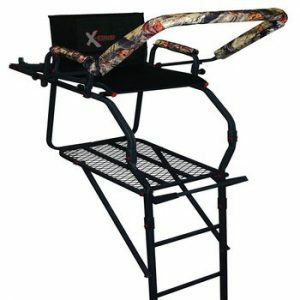 This is a perfect target for outdoor pre-hunting practice. The target offers 4-sided shooting and the company says that it will stop all field tips and broadheads with easy arrow removal. There were a few negative customer reviews stating that “black hole” is quite accurate for this target’s name as their arrows shot right through it. These customers were unimpressed by the quality and the target’s inability to stop their arrows. The majority of customers did not encounter these issues even with stronger pull force. The field logic Model 71600 3D archery target has a replaceable closed-cell compression insert. 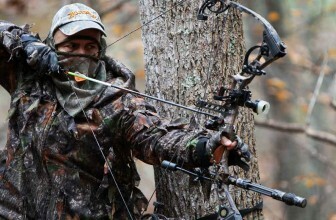 The target is designed to be weather-resistant and offers easy one-handed arrow removal. The legs are removable for easy transportation. The antlers measure 125 inches while the shoulder height is 31 inches. The manufacturer offers a warranty on defective units. The field logic 3D target is moderately priced and is maintaining an average rating of 3.8 stars on Amazon. Customers who left negative reviews indicate that this target is best for no more than 70 pounds of pull. They made indications that the unit chips and breaks every time an arrow hits it. While these remarks are few and far between, it is important to note that this unit is probably not suitable for stronger bows. 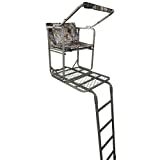 The Field Logic Youth Block is specifically designed for younger archers. This target block is only intended for a 40 lbs draw weight or less and is designed for durability and a long target lifespan. 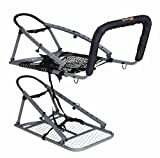 Its high contrast design, legendary layered technology and affordable price on Amazon have earned this target a 4.6-star review from happy customers. 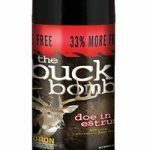 A few reviewers who would not recommend this product seemed to have gotten a defective target that did not last very long. The majority of customers have had this target last a long time as they boast about quality and durability. YOUTH ARCHERY TARGET for use with bows of 40 pounds of draw weight or less. Measures 18" x 16" x 8"
FINAL THOUGHTS:- Much like many other accessories, the best archery target is a must have if you want to hunt effectively. 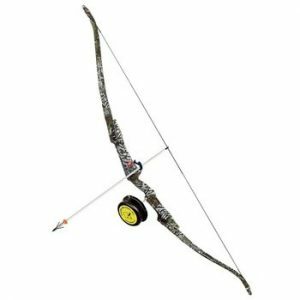 Consider packaging your archery target with other great accessories such as a single pin bow sight or one of the best bowhunting scopes on the market. You’ll be an expert bow hunter in no time. Since you now have a better idea of what to look for in a trail camera, you’re ready to start scouring the internet for the best trail camera. There are several different brands and models to choose from, but these are some of my personal favorites. 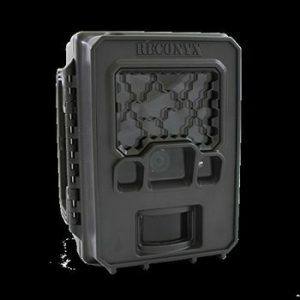 Any trail camera review will boast and brag over the Reconyx SC950. It is arguably one of the best cameras money can buy, and I have been very impressed by all of its features and capabilities. The battery on this great camera lasts well over a year, but it still has an unbelievably fast detection circuit and captures crystal-clear photos. I am also very happy with the trigger and recovery speed of this particular camera. 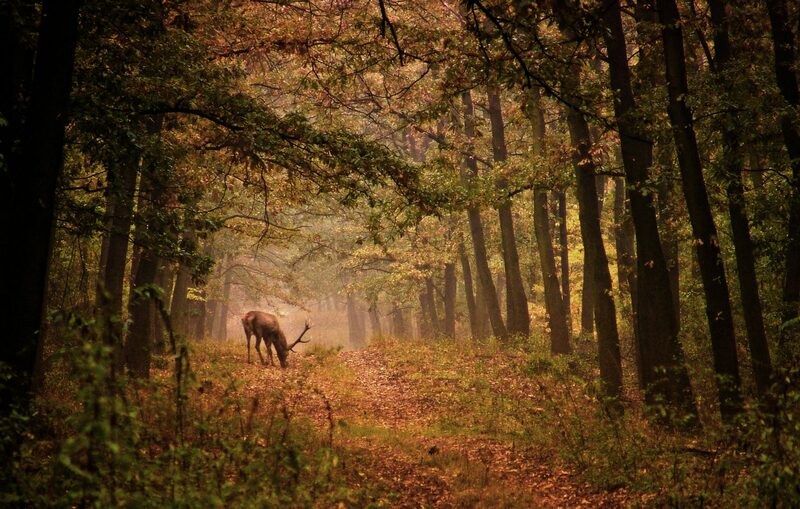 From the moment it detects wildlife, it starts snapping beautiful images. 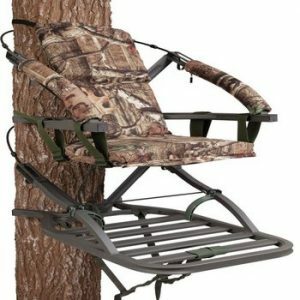 It is also very durable, so it will withstand all of the elements and any beatings it might take while it is strapped to a tree. With all of its great features, this camera is going to come at a relatively high price point. Even though it is rather expensive, it still doesn’t have any video capabilities. If you aren’t concerned with videos or a budget, you will love the incredible quality photos you get from this durable trail camera. 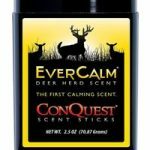 However, there are a lot of other great quality trail cameras that also offer video capabilities and high-quality images. The Browning Strike Force HD PRO is by far the best trail camera for the money. I have not come across a better quality trail camera at a comparable price. It can impressively hold its own against other top trail cameras that come in at much higher price points. Affordability aside, the quality of the pictures and videos has drastically improved and makes it one of the best game cameras. Not only are the images great quality, but it also has a very fast detection that allows you to capture videos and images as soon as an animal is detected. It is able to take several photos in a row with great speed for the most part, and you will find that the range of the flash is great at night. Despite being such a hard-working game camera, the battery can last 11 months in picture mode. Unfortunately, several other trail cameras reviews have reported that there seems to be a glitch in the recovery time around the 6th photo. Despite having a quick trigger on the first 5 shots, the camera seems to stumble and take a little longer to capture the rest. For the great price, I could certainly deal with the glitch in the recovery time. If it were consistently lagging on every single shot, I would recommend that you pass on this camera, but you will not find a better camera at this same price. 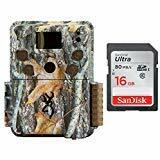 The Reconyx SC950C is a cellular game camera that will send photo updates to your cell phone or email. 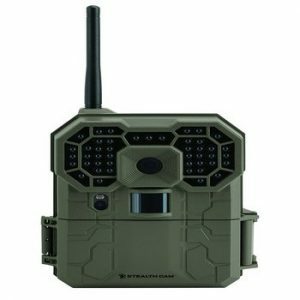 As one of the original cellular game cameras, this model comes up frequently as a great option for other cellular trail camera reviews. 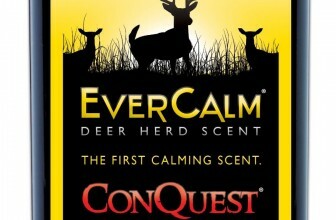 It is an incredibly durable trail camera that will allow you to get real-time updates of photos, including burst shots. While the photos are compressed to be sent to your cell phone or email, the ones on the SD card are great quality, high-resolution photos. It has a great detection circuit in it that allows you to get awesome photos and more advanced settings, so you can make changes as you see fit. Unfortunately, this camera comes at a very high price with a very low battery life. It also does not have a video option. This is definitely a great option if you are fortunate enough to be working with an unlimited budget, but the short battery life means that you’ll be changing batteries often if you want to continue to get your photos sent straight to your phone. MULTIPURPOSE USE (BE AWARE ONLY 2.4GHz WIFI IS SUPPORTED): This indoor camera is suitable for using as a home / office camera, baby monitor, elderly monitor, pet camera, security camera, all due to such functions / features as two-way audio (microphone and speaker are built in), motion alert, vandal-proof design, screen capture. SUPERIOR FULL HD VIDEO QUALITY: High quality optical lens provide sharp picture for smooth video resolution up to 1080p at 30 fps video recording. Night Vision and strong IR Led ensures video monitoring and recording even in a dark night within the distance up to 32 feet. Video recording and playback directly to your device. Camera supports 24/7 video recording to SD card (sold separately) or to cloud storage (activation of cloud based services is required). REMOTE PAN-TILT CONTROL: Camera wireless connection and operation allows rotating the camera 340-degrees horizontal and 70-degrees vertical with your smart phone, tablet and/or computer as well as zooming in and out. You can easily switch between several cameras in the same application (163eye) or have several users viewing simultaneously. Receive motion-triggered app push notifications to stay connected at all the times. QUICK & EASY SETUP: Just in 5 easy steps you will be able to install 163eye application on your iOS / Android device and start using the camera. Alternately, you can operate the camera via PC client software. Please refer to the manual and QR codes supplied with the camera. 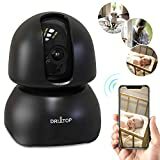 Communicate with those you love in real time, watch over your baby peacefully sleeping at night, take pictures or record video, all directly from your phone or tablet. SATISFACTION GUARANTEE & SECURE PRIVACY: 24/7 client support! Data transmission is made via servers with https protocol. It ensures that such data cannot be read or forged by any third party. You may choose all the pictures and videos to be saved directly from camera either to your device or to SD card inserted into the camera or to secured cloud storage, thus leaving no option for it to be forwarded to anyone except yourself including the manufacturer. 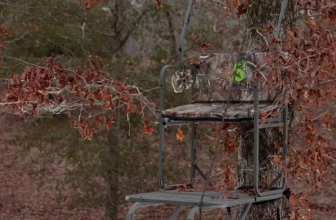 The Skypoint Solar is a trail camera you will not want to overlook. 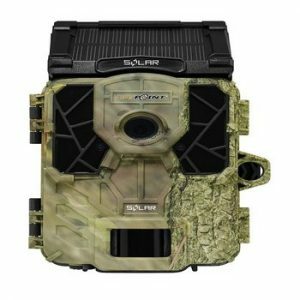 Not only does it come at a great price, but its solar battery capabilities set it apart from the rest of the trail cameras in-game camera reviews. 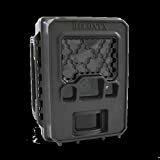 Since it is solar powered, this is the best-rated trail camera in terms of battery life because it is virtually unlimited. 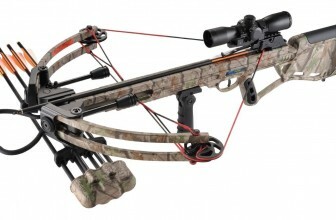 It is also very affordable, though not as affordable as the Browning Strike Force HD PRO. 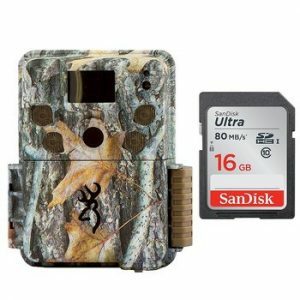 This game camera also comes with an incredibly fast trigger speed and recovery that captures colorful images, which can be viewed on the internal picture viewer. The biggest downfall of this camera is the poor quality night pictures. As most animals are very active at night, this camera is going to make it difficult to get any valuable information from night-time photos. It also lacks any built-in Python brackets, which means you won’t be able to mount it very easily on a sturdy Python cable. If you are concerned with remembering to change the batteries in your camera and you would like an affordable option, you might find this to be a great camera for you. If you rely on night-time photos to give you information about wildlife activity, you will be better off purchasing another game camera. 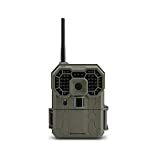 The GXW is the best wireless trail camera because, unlike most cellular trail cameras, it is able to send photos and videos to your cell phone or email. Anyone looking for an affordable wireless game camera will be excited to learn more about this impressive option. If you aren’t already sold on the fact that this cellular trail camera can send you photos AND videos, then you should be impressed by the quality of its daytime photos. That’s not to say that the night-time photos are bad, I would consider them to be average, but the daytime photos are really quite exceptional. The easy setup, moderately low price, and fast trigger speed make this one of my favorite options. Since the camera is working so hard to transmit photos and videos over cellphone signal, it is going to have a much lower battery life than other options. However, I would consider it to still be fairly average as it lasts around 2 months. 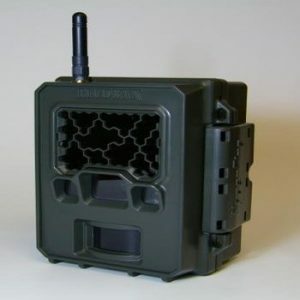 If you are adamant about having a cellular trail camera and still want to get videos, you will love the GXW wireless. For its fairly low price, you really can’t go wrong with making this purchase in my opinion. 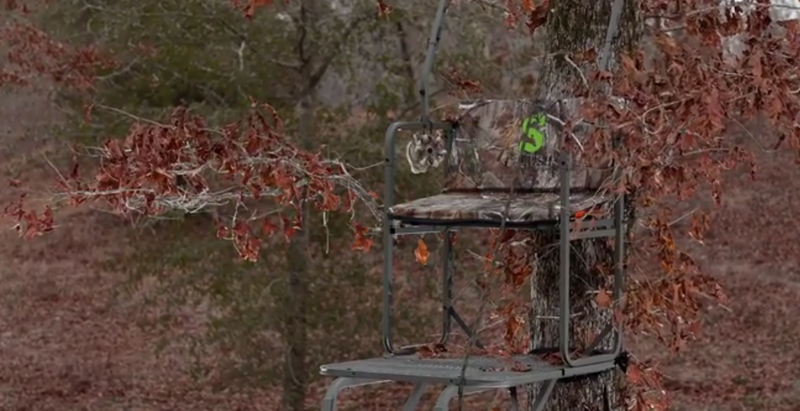 The Browning Strike Force HD PRO comes in at the top of the list for the best trail camera. Despite being so affordable, it is not cheaply made. The camera has incredible image quality, impressive battery life, and a good trigger and recovery speed overall. The Browning Strike Force comes in ahead of both of the Reconyx options for me just because they are both far more expensive than the Browning, yet they still do not offer any video capabilities. I also put it ahead of the Stealth Cam GXW because the Browning is more affordable with an equal if not better overall quality and longer battery life. Lastly, it comes in ahead of the Skypoint Solar because it still has a great battery life and overall better quality photos for a lower price. 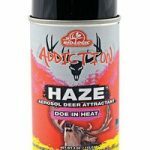 It is hard for any camera to beat the Browning in my opinion for the simple fact that Browning managed to design a high-quality trail camera at a budget price. Keep in mind, that I personally prefer the Browning Strike Force HD PRO, while you might prefer an option that isn’t even on this list. You need to consider your own price point, how you intend to use the camera, and what features are most important to you in order to find the best wildlife camera for you.if you need more hunting gear then click here to check.